Please find time as you document the day to take these photos! -Please use PRIME LENSES when possible. -Please use APERTURES of 2.8 or wider (F1.2 to F2.8). If you have a group photo - please use 2.8 and just leave space on the sides and line everyone up equal distance from the camera as possible. This will ensure everyone's face is in focus. BUT if you want an artistic shot of the groomsman where some guys arent as clear as others, feel free to pose them up as you like. -Please take CLEAN SHOTS - no cars, misc details, mess, clutter, etc if at all possible. If there is unavoidable or un-cleanable mess, please take the shots closer in to avoid the clutter rather than doing a wide angle shot that requires loads of editing. EXTERIOR SHOT OF ALL LOCATIONS: including the grooms prep location, church, first look and formal photo locations, reception venue. Without people in front is ideal, but do what you can! CEREMONY SITE: If you can get a shot of the ceremony site before the guests arrive as it is empty and then again once the guests have arrived, and the bridal party is all at the front. If you can get 1 or 2 of the following perspectives, that would be great! 1. From the back (guest view) looking at the front. 2. From behind the bride and groom looking at the guests. **SOME NOTES: When groom is dressing, please shut off all lights in the room and just use window light if possible. Just tell them its for the photos and it's necessary! If the rooms are super dark, then use your discretion, but if at all possible - one temperature light source pls!! Also, feel free to ask them to move to better light for you. 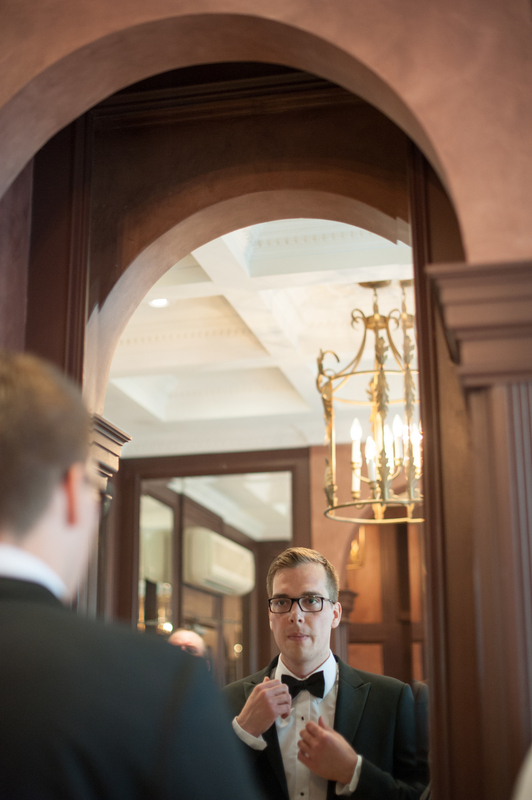 If groom is getting dressed in the bathroom, ask him to do it near a window for the better light - they are totally ok with making those adjustments I find. Don't worry about being bossy!! I love candid shots of the guys joking around, dressing and fussing with hair etc shot through something like a doorway, past a wall, plant or whatever you can find. 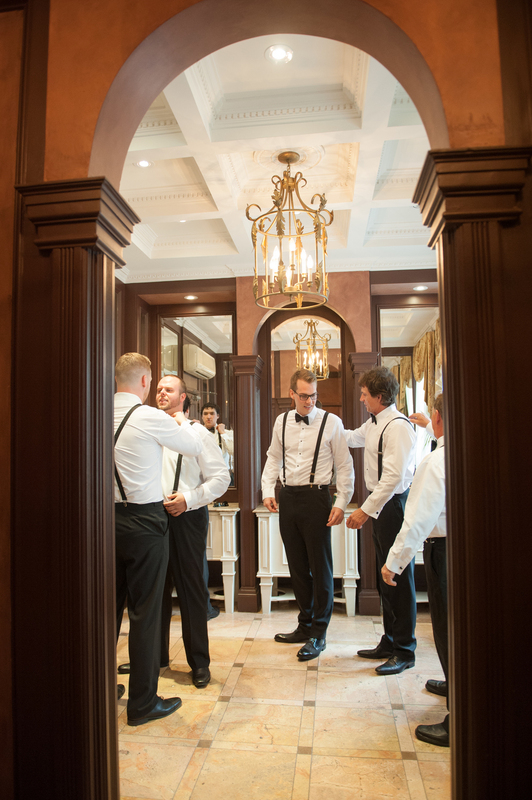 Also, love the groom + groomsman looking in the mirror fixing hair or their tie etc. Of course, close ups of the groom adjusting tie, cufflinks, hair etc as well. 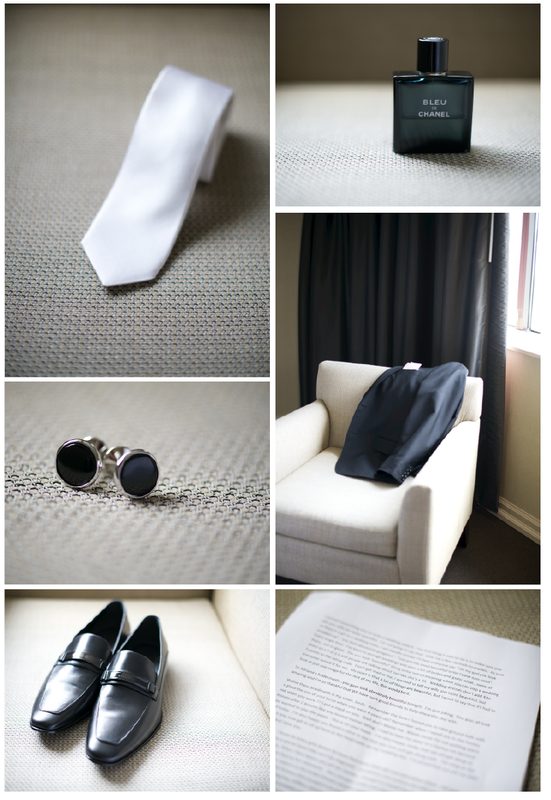 GROOM'S DETAILS: I like the details shot individually and then 1 shot of a group of items together (whatever looks good - doesn't have to be everything). Include the obvious (cufflinks, tie, cologne, shoes, rings) and add things like bride's gift to groom, gifts to groomsman, flasks, hats, hand written notes, groom's speech notes and any other stuff that seems important. ***PLEASE TAKE DETAILS OUT OF THE BOX! If there are cufflinks, other jewelry etc in boxes, please don't photograph them in the box. If the box is a designer label or you feel its somehow important or sentimental, take 2 shots - one in the box and one out. LOCATION for these shots: I like a more textural light or neutral fabric underneath. White is fine, if that's all there is, but often there is a neutral chair or floor that works? Or maybe even a window sill like some of the ones below..... I like to roll up the tie as well, so the part that goes around the neck isn't showing. I find it looks a bit neater that way. 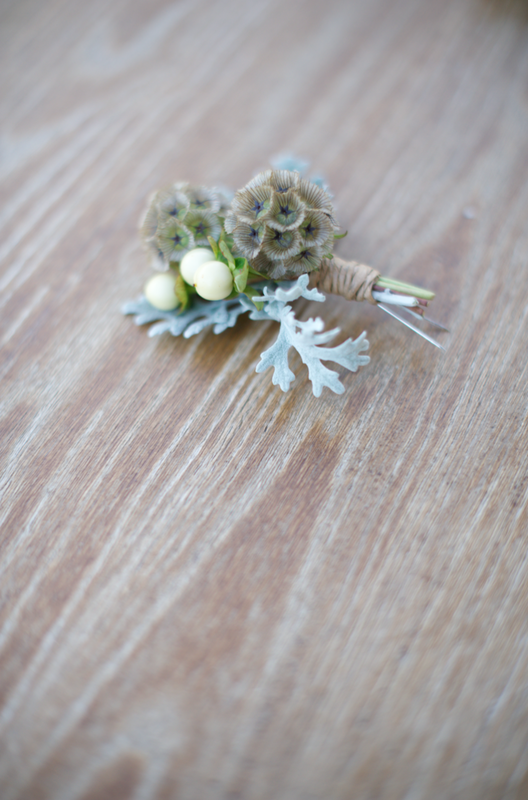 BOUTONNIERE: I love the boutonniere shots on their own and in a group of 3 boutonniere together. Please shoot directly from above, and then one from the side. 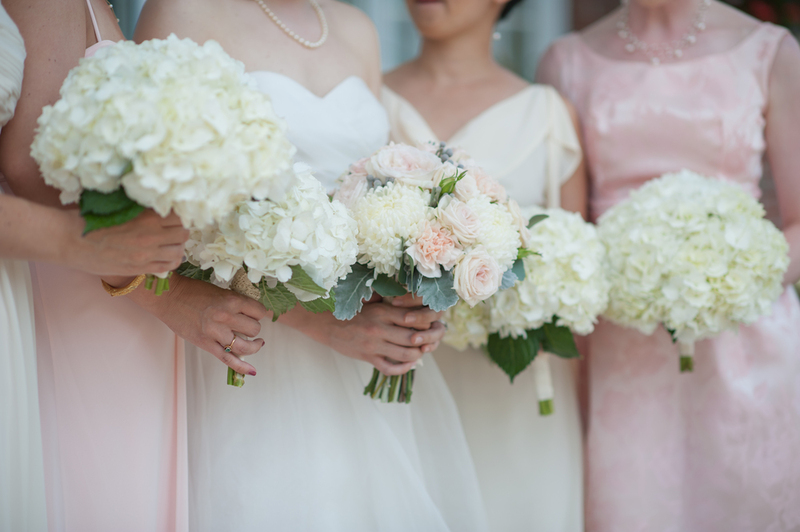 These shots always looks really good in the album and the planners/decor/florists really love it. BRIDE + GROOM photos: Try and find a spot to shoot through something like greenery, doorway or whatever. Shoot close ups of their hands, flowers etc from another angle (above, below, side, behind etc) Also, get the bridal party goofing around while they look on (if they are there). 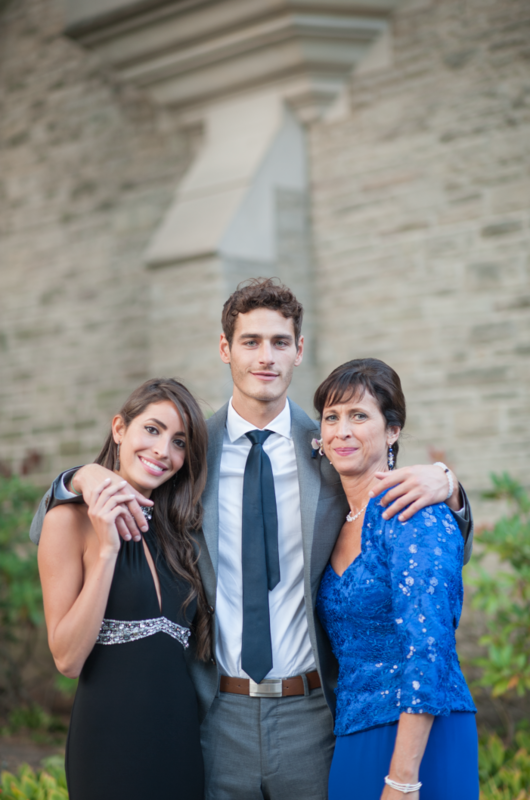 FAMILY photos: Please take photos of other groupings that aren't on the list. ie/ If I am taking a photo of the bride with her parents - when I am done, can you grab the parents and photograph the 2 of them (waist up). -Close up of each girls dress/flowers/jewels if they are all different (mismatched). DURING COCKTAILS: Definitely candid shots of guest interacting and mingling. Some closeup and some overall views of the room. If there is a place that you can get up high and get an overall from above like stairs, a landing or a small hill then that would be great too. The details of the cocktail hour would be great too, like drink and food trays or even individual cocktails that look great - ask for one at the bar or ask a guest if you can photograph theirs in their hand or on a table. Please also ask guests in groups to pose and smile for a photo for you. 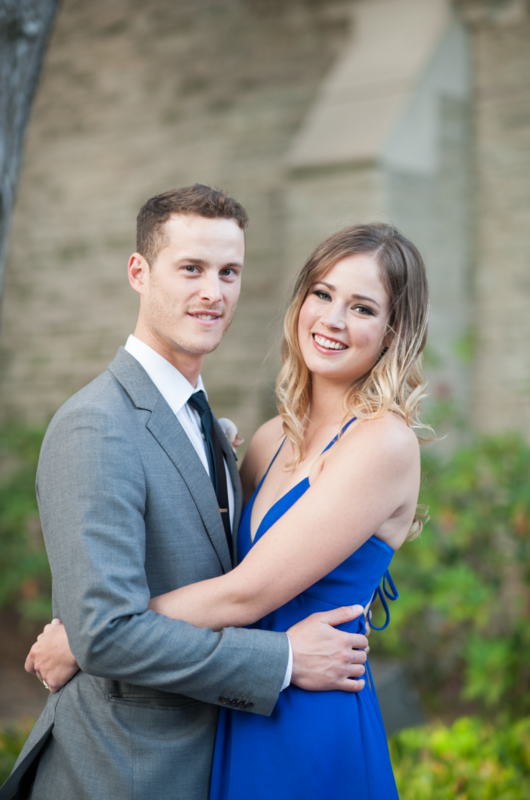 I find my clients like a mix of candids and posed photos of their guests. SPEECHES: Some candids of the guests listening on (shooting through if possible is nice) as well as any other interesting angles of the speaker that you like. DANCES: Mix of close up and wide shots, also guests looking on. DINNER: I like to take a shot of each plate and usually remember to do it, but if not, feel free to remind me!